We are a church family faithful to the Word of God. Like many healthy families, we enjoy spending time together at events such as picnics or group Bible studies. We make time for each other’s personal events—to rejoice in times of celebration or support in times of grief. Most of all, we look forward to worship when we hear God’s Word, sing, and pray together. A relationship with Jesus Christ is personal. There is no reason why church relationships should not be personal as well. We are intentional about following Christ’s model of making disciples: Every believer should be discipled by a mentor, and every disciple should be mentoring. You will find Grace to be an exciting place to learn, build, and live your faith. We provide multiple venues to grow, demonstrate and share our faith: worship services, Bible studies, classroom training, and a variety of children, teen and adult ministries. Pastor Tim Potter loves God's Word and loves God's people. His goal is to preach and teach the Word of God with such clarity and personal application that each soul at Grace Church of Mentor will be "conformed to the image of Jesus Christ." He believes with firm, loving conviction that the best way to influence our culture is to bring souls to Jesus Christ by maintaining a solid personal testimony and witness, teaching and preaching the Word of God with passion, and discipling new believers with the Word of God. Giving God glory is our top priority. Our worship mirrors His reverent character. Our preaching exalts His Son, Jesus Christ. Our relationships focus on His biblical disciple-making model. Our outreach honors Him. In short, we desire to glorify God in all we do. Our passion is for souls. We join together in prayer for personal relationships, serve our community, and testify to the glorious new birth in Jesus Christ. Our passion to see souls added to the church expands beyond our community and includes support for both domestic and foreign church-planting. We are a stable, spiritually-maturing church. It is our responsibility to provide dynamic teaching of God’s Word for every spiritual age group. We rely solely on God’s Word in our preaching, teaching, and counseling. Grace Church of Mentor originated as a church plant from Erieside Gospel Church. (Erieside has since been renamed First Baptist Church of Willowick in Willowick, Ohio.) 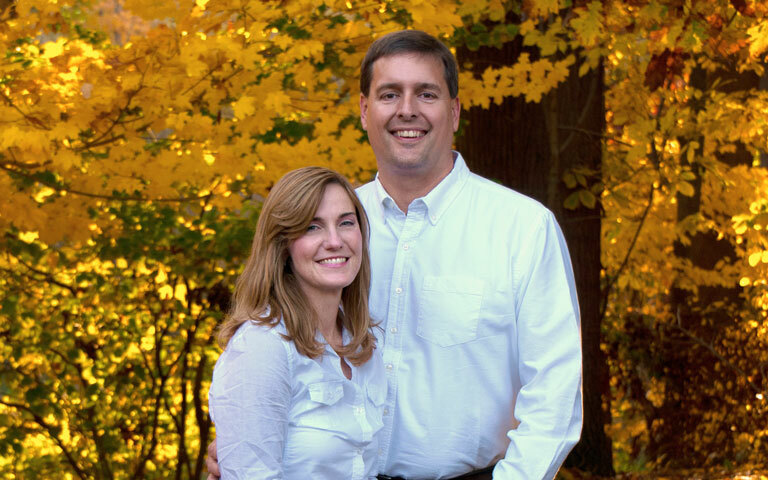 Pastor Paul Cell was the Pastor at Erieside, and it was his desire to reach the growing population in the northern Eastlake, Willoughby, and Mentor area with the Gospel. What started as a bus route grew so large that Erieside knew that they should begin a church. Pastor Cell's evangelistic heart was rewarded with joy when in May of 1948, Grace Baptist Church was incorporated under the laws of the state Ohio. Over the years, Grace Baptist Church became Grace Church of Mentor to more reflect the New Testament Church model. Our church moved from a little white building on Lakeshore Boulevard to our present location on Reynolds Road. In the early years, several pastors headed this little ministry. In 1972, Pastor Robert Potter heeded the call of the Lord to come from a small work in Parma, Ohio to Grace. Through his ministry and work, the church was renamed and relocated, even before the times of non-denominational ministries! His ministry focused on turning people to the Word of God as their source of direction for life. He led the church with the verse, "For the Word of God and the testimony of Jesus Christ" (Revelation 1:9). 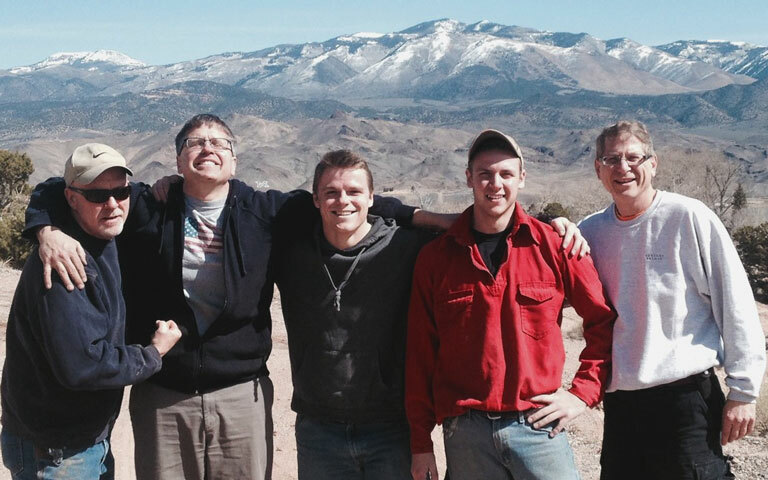 The church continued to grow throughout the years showing the need for a full time youth pastor, hired in the fall of 1991. 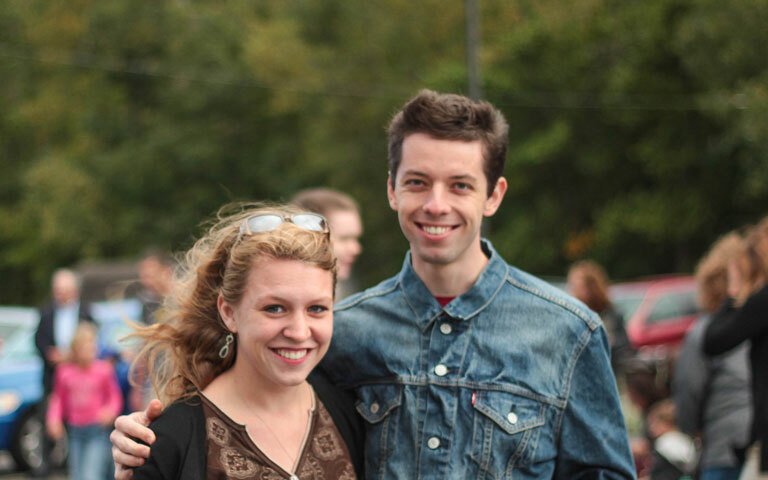 Two more staff members joined in 1997–one a future church planter and the other a music and children's director. Those men have been called to other ministries, and others have come in their place. Today our original 1979 building comprises portions of our present Fellowship Hall, some bathrooms, conference room and Pastor Tim's office only! Over the years God blessed GCM allowing us to add a small addition in 1986, our present auditorium in 1995, and an educational and office wing in 2004. Grace Church still stands for the Word of God and the testimony of Jesus Christ, but we also exist to evangelize the lost and equip the saints with the goal of Christlikeness. Our present pastor, Tim Potter, was that youth pastor that was hired in 1991. Pastor Robert Potter finished his ministry at Grace in 2005 after 32 years at GCM. We praise the Lord for his faithfulness, his concern about the holy Word of God, and his passion for souls. He now begins church ministries here in Northeast Ohio under GCM. Under Pastor Tim Potter, GCM continues to advance the gospel, disciple new converts, and start new churches in Northeast Ohio. We have grown and continue to grow through souls being saved, not human effort. We look forward to the future that God has for Grace through our Pastoral and spiritual leadership and our congregation. "We proclaim Him, admonishing every man with all wisdom, so that we may present every man complete in Christ. For this purpose also I labor, striving according to His power, which mightily works within me." (Colossians 1:28-29). Our mission is to glorify God by evangelizing the lost and equipping the saints with the goal of Christ-likeness. Our goal is to preach and teach the Bible resulting in unity of the faith and growth in Christlikeness. Below are some core doctrinal summaries that form our preaching and teaching. This church stands unequivocally for the whole counsel of God contained in the sixty-six books of the Holy Word of God. "All Scripture" is defined as the entire Bible. The words of Scripture were communicated by the Spirit of God to holy men who were chosen by that same Spirit to record without error the Divine Revelation (2 Timothy 3:16,17; 2 Peter 1:21). Divine Inspiration applies to the entire body of the Holy Scriptures - the thirty-nine Old Testament books and the twenty-seven New Testament books as they appear in the original manuscripts. We believe there is only one living and true God - an infinite, intelligent Spirit, the Maker and Supreme Ruler of heaven and earth. He is inexpressibly glorious in holiness and worthy of all possible honor, confidence, and love. Furthermore, in the unity of the God-head there are three persons: the Father, the Son, and the Holy Spirit, who are equal in every great work of redemption. (Exodus 20:2,3; 1 Corinthians 8:5-7; Revelation 4:11; 1 John 5:7; 2 Corinthians 13:14). We believe the eternally existent Son of God came into the world expressly for the redemption of mankind which was proposed and purposed in the eternal counsels of God. This saving work required His miraculous birth into this world through the conception of the Holy Spirit in the womb of the virgin Mary. His human nature was sinless and perfect. Even though being incarnate, He retained His absolute Deity being at the very same time God and man, yet one person. (John 1:1,2; John 1:18; Philippians 2:5-8; 1 Peter 1:20). We further believe that the Son of God lived a perfect and sinless life on this earth. Having pledged Himself to the perfect performance of the will of the heavenly Father, He became the divinely appointed sacrificial lamb to take away the sins of the world. His death on behalf of sinners and for sin was substitutionary in the most absolute sense—the Just for the unjust—that He might be the Savior of the lost. (John 1:29; Romans 3:25, 26; 2 Corinthians 5:21; Hebrews 10:5-14). Nevertheless, according to the Scripture, on the third day after His death, He was raised from the dead by the power of God in the same body which He possessed before His death, though glorified. We believe His incorruptible, resurrection body is the form that, at the return of Christ, will be given to all believers. (John 20:23; 1 Corinthians 15:2-7, 20; Philippians 3:20-21). Furthermore, we believe forty days after His resurrection, He ascended into heaven. His saving work having been perfectly and completely accomplished, He sat down at the right hand of the Father where He constantly performs His work as intercessor and advocate for all believers. (Ephesians 1:22,23; Hebrews 7:25; 1 John 2:1). We believe that the Holy Spirit is a divine person—equal with God the Father and God the Son, and of the same nature. He was active in Creation, and in His relation to the unbelieving world He restrains the evil one until God's purpose is fulfilled. He convicts of sin, righteousness, and of judgment. He bears witness to the truth of the gospel in preaching and testimony. He is the agent of the new birth; He seals, indwells, equips, guides, teaches, sanctifies, and helps the believer. (John 14:16,17; Matthew 1:18; John 1:33; Acts 11:16; Luke 24:49; Romans 8:16,26,27). We believe that Satan has a personality and is the unholy god of this age. He is the author of all powers of darkness and is destined to judgment in the eternal lake of fire. (Matthew 4:1-11; 2 Corinthians 4:4; Revelation 20:2; Job 1:6, 7; Isaiah 14:12-17). We believe that man was created without sin in God's image and likeness, but by voluntary transgression fell from his innocent state. Therefore, all men are now conceived in sin, and sin, not by constraint, but by choice. They are, therefore, under just condemnation without defense or excuse. We believe mankind is depraved and without divine life. Every portion of his being has been affected by the fall with his spiritual relationship to God totally destroyed. (Genesis 3:1-6,24 and 5:10-19; Romans 1:18,22; Psalm 14:1-4; Isaiah 1:6; Jeremiah 17:9). We believe that due to the universality of sin and the depravity of mankind, there is no entrance into the kingdom of God except through new birth. We believe Scripture teaches that any person who through faith in Christ and repentance from sin is once and forever delivered from his lost estate to be kept eternally by the power of God. (John 5:24, 10:27-30; Romans 8:33-39; Hebrews 7:25; 1 John 2:1,2; 1 Peter 1:5). We believe that believers should conduct themselves so as not to bring reproach upon their Lord and Savior; and that separation from worldly pleasures and practices is mandated by God. We further believe that it is the privilege and responsibility of every believer to declare the truths of the Holy Scripture to the world through their life-style and conversations. (Romans 12:1,2; 2 Corinthians 5:20 and 6:14-7:1; John 17:18; Acts 1:8). Furthermore, Scripture clearly states that a believer is to support the local church through prayer, continual attendance, financial gifts, and obedience to those in authority. (Ephesians 6:18; Hebrews 10:25; 1 Corinthians 16:2; 1 Thessalonians 5:12,13). We believe that there are only two ordinances supported by Scripture: baptism of the believer and communion. We believe that Christian baptism is a believer being immersed into water in the name of the Father, Son and Holy Spirit, to symbolize our faith in the crucified, buried and risen Savior. Furthermore, it symbolizes the believer's death to sin and resurrection to a new life. The second ordinance, communion or the Lord's Supper, commemorates the sacrificial love of Jesus Christ. After self-examination and by using the bread and the fruit of the vine, the believer remembers Christ and what He has done in death and resurrection for him. We believe according to the Word of God that the next successive event in the fulfillment of prophecy will be Christ's coming in the air to receive His own: those who are alive and those who have already died. The Holy Scriptures clearly teach that the return of Christ is imminent, and believers are instructed to be constantly looking for this blessed hope. We further believe that following this rapture of believers, there will begin the period of Tribulation on the earth which was predicted in the Scriptures. Finally, afterwards, He will end that time of judgment on the earth by His return in power and glory. (John 14:1-3; 1 Corinthians 15:51,52; 1 Thessalonians 4:13-18; Titus 2:11-14; Revelation 19:11-21). We believe according to the Scriptures that Christ will return to rule the earth after the seven year Tribulation, eternally banishing Satan and his fallen angels to the lake of fire. The world will not be converted before the second coming of Christ, but rather, this present age will terminate with a fearful apostasy in the professing church. Following the period of Tribulation on earth, the Lord Jesus Christ will return again to this earth as He went, in the clouds of heaven, and with power and great glory. This will inaugurate the millennial age, establishing peace on the earth. This return also grants Israel the fulfillment of all her covenant promises, and binds Satan in the bottomless pit or abyss. (Deuteronomy 30:1-10; Ezekiel 23:21-28; Revelation 20:1-6; Romans 8:10-23). We believe that at death the soul of those who have received Christ pass immediately into His presence, and the soul of those who have rejected Christ pass immediately into condemnation and misery in hell. When the souls of those who have received Christ pass immediately into His presence, they will there rest in conscious bliss until the resurrection of the glorified body when Christ comes to receive His own. The soul, spirit, and body reunited will dwell with Him forever in glory. We further believe that after death the souls of those who have rejected Christ remain conscious of condemnation and misery in hell until the great white throne judgment at the end of the millennium. Then soul. spirit, and body will be reunited and cast into the lake of fire, there to suffer in agony forever. (Luke 16:19-26; 2 Corinthians 5; 2 Thessalonians 1:7-9; Jude 6-7; Revelation 20:11-15). We believe that God the Holy Spirit has and does bestow spiritual gifts during the Church age; however, not all gifts listed in the Bible function today. During the first century, the Holy Spirit bestowed temporary gifts that functioned till the completion of the New Testament Canon. These gifts are apostleship, prophecy, speaking in tongues, interpretation of tongues, healing, and working of miracles. The permanent gifts remain for the rest of the church age. They are evangelist, pastor/teacher, administrations, helps, giving and showing mercy. (Romans 12:3-8; 1 Corinthians 12:4-11; Ephesians 4:7-12; 1 Corinthians 13:8-10). We believe that spirituality is attained in this dispensation by a believer walking in fellowship with the Lord. Through constant fellowship, study of the Word, and obedience to the Word, spiritual maturity will develop in time. We also believe that one sin removes a believer from fellowship but NOT salvation. Confession and forsaking of that sin is imperative for restoration to fellowship. It is the responsibility of every believer to be constantly Spirit controlled. (1 John1:3-10; 2 Peter 3:18; Proverbs 28:13; 1 Peter 1:5; Jude 1; Ephesians 5:18).